That’s right! 2012 is over! We’ve had another amazing ride this year: we’ve reviewed a new free & legal album download for you every day [yes, weekends too!] and promoted 23 hand picked artists with our sister software FrostWire. With this FrostWire Creative Commons Mixtape Volume 3 we would like to celebrate over 2,1 million free and legal downloads [and still counting!] generated only in 2012 by our promotions and the many additional ones that came from all FrostClick readers who fell in love with new artists found though our site. 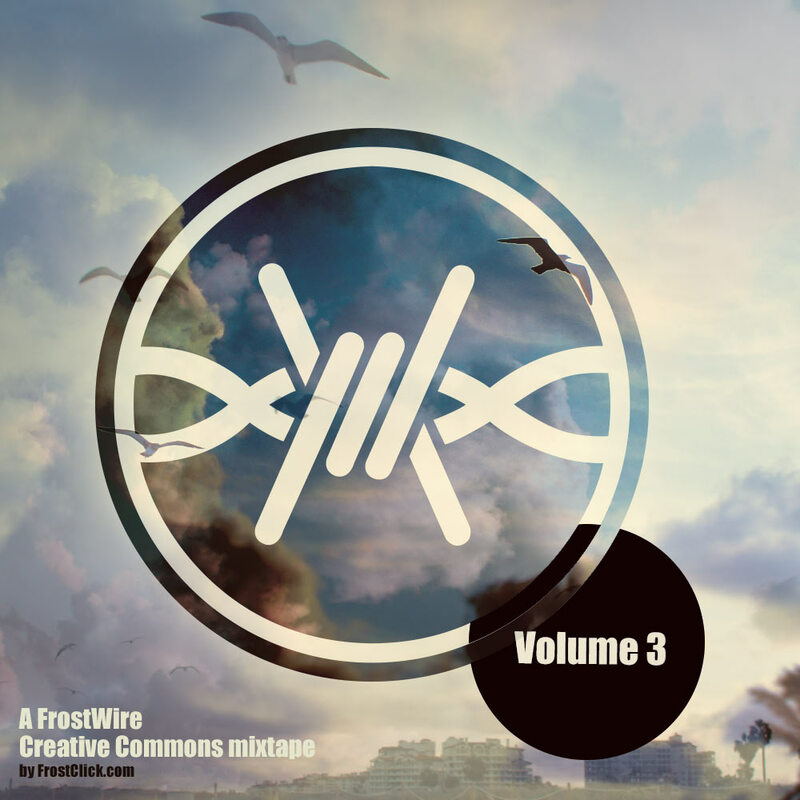 FrostWire Creative Commons Mixtape Volume 3 Side A features all of our 23 artists promoted in 2012. It’s a truly varied mixture of hip-hop, rock and even dance tracks. Check them out and if you like the artists, download & share their entire albums by following the links below. All albums are covered under a Creative Commons license, but pls check the individual tracks for a specific license permissions. To put the joint download 2,1 million downloads in perspective…. If one download would equal one fan and all our artists would do a concert together, they would fill more than 118 Madison Square Gardens to accommodate them all!!! FrostWire Creative Commons Mixtape Volume 3 Side B is a selection of Creative Commons licensed tracks from some of our favorite albums reviewed on FrostClick. We went through a very, very hard selection proces, as we had to narrow down our choices to only a few from hundreds of this year reviews. Working with all of our promo artists has been a true pleasure and a lesson in determination and will to succeed. Most of them are truly independent, working solo to write, record & promote their music. It takes a special type of a person to pierce through the millions of wanna-bes & be noticed in todays music business. We think that the artists we’ve promoted are truly on a verge of making it big! And that doesn’t mean getting “signed” any more [although a few of them already did..] – that means having millions of fans around the world who will be there sharing the heck out of their creative commons licensed music, contributing big to their Kickstarter campaigns for new albums, buying their limited edition signed merchandise and coming to their concerts. For more awesome music out our last year’s compilation & follow us on Facebook and Twitter! We’ve been reviewing free music downloads for you since 2008. We think we’ve been doing a pretty good job curating the content we present to you every day. Nonetheless, we recognize that the Internet is a wide universe of content no one very small team can effectively canvas. If you think you know an artist that’s worth reviewing/promoting, pls write to us at kademlia or natalie @frostwire.com. Just remember the download needs to be free and preferably under a Creative Commons license so it’s absolutely clear the artist wants us all to share their work. Thanks to all and happy sharing in 2013! !